Skill Sharing creates an exchange around a commodity of relationships where product followed only after the relationship had been built. 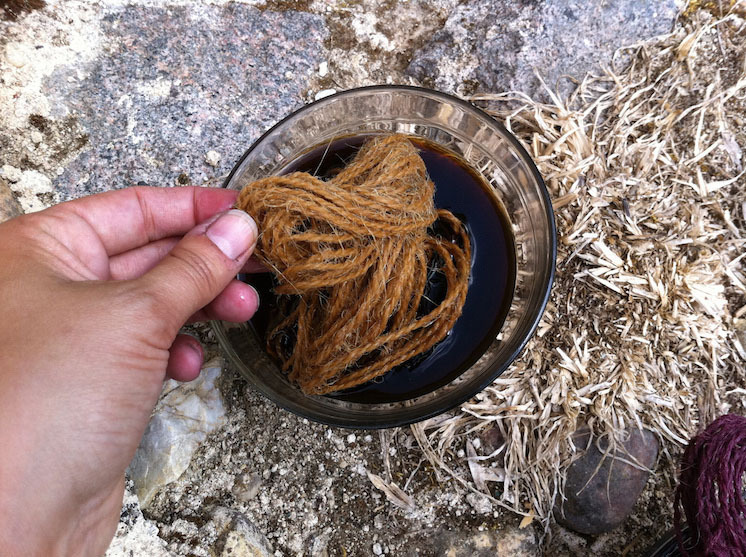 Making cordage became cultural production as a resource in which myths, stories and traditions act as currencies. 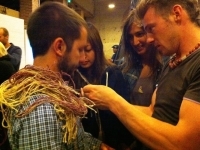 A toolkit that encourages human interaction around relationship building. 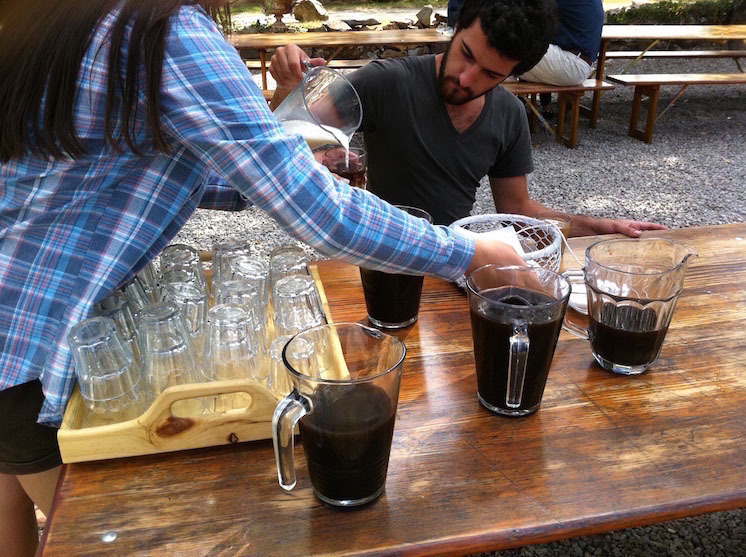 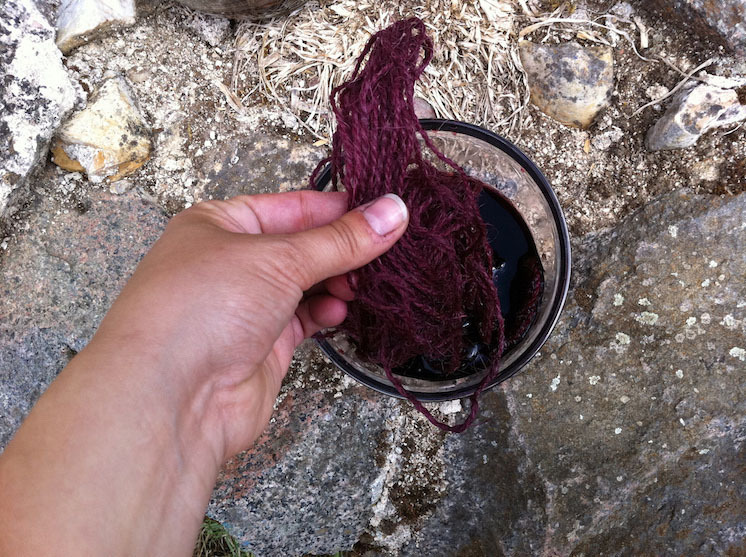 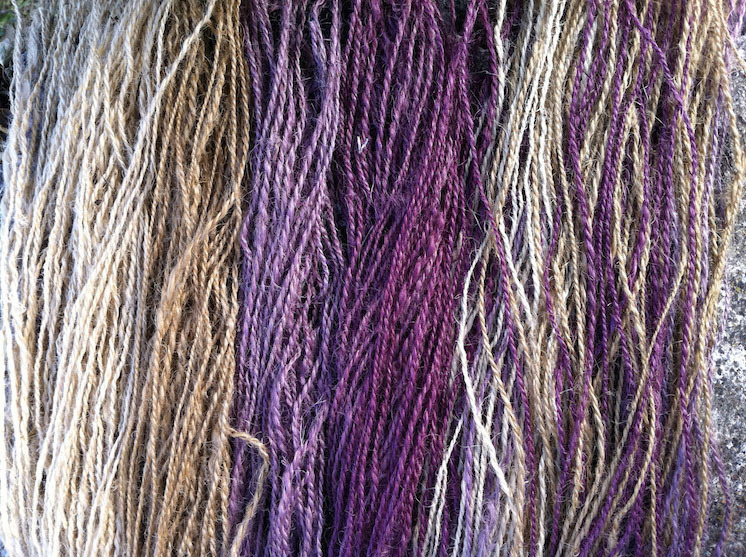 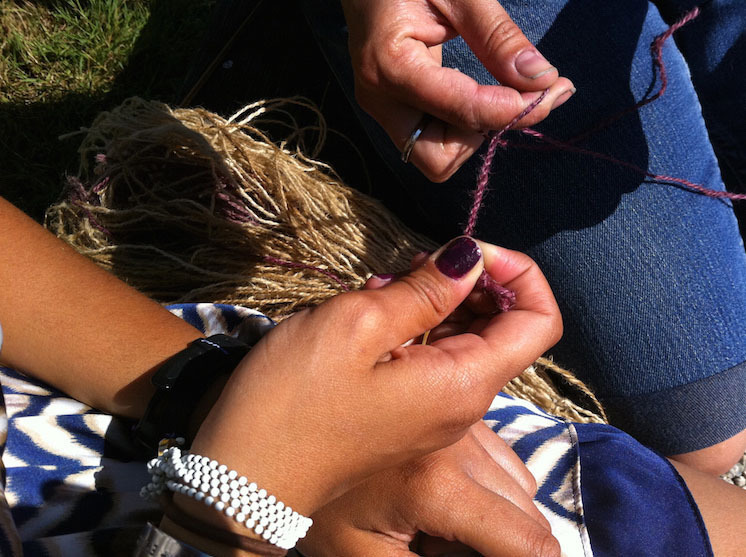 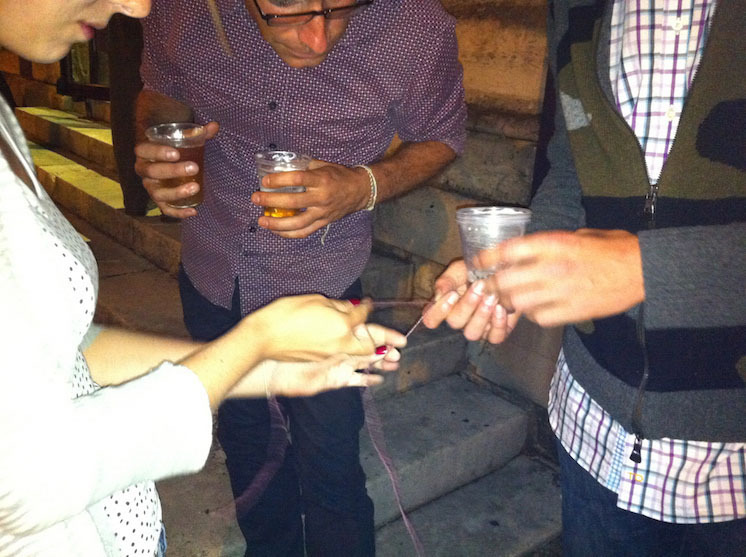 The twine was dyed with leftover wine and coffee as products of people gathering around the table or picnic blanket. 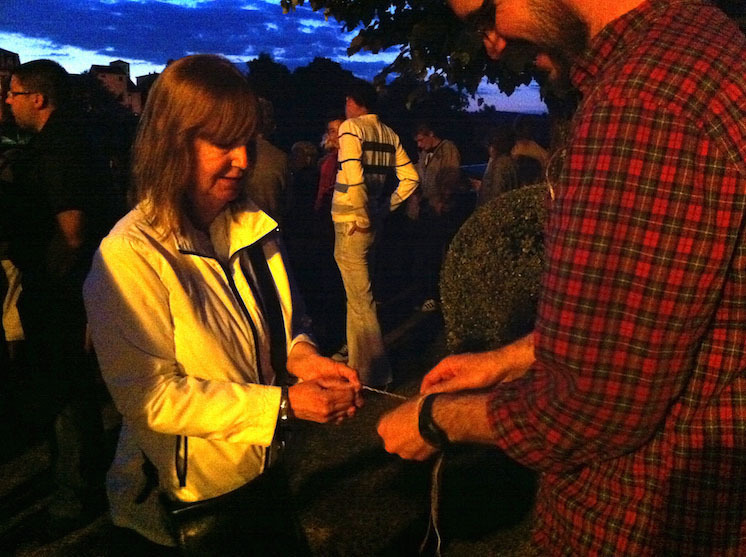 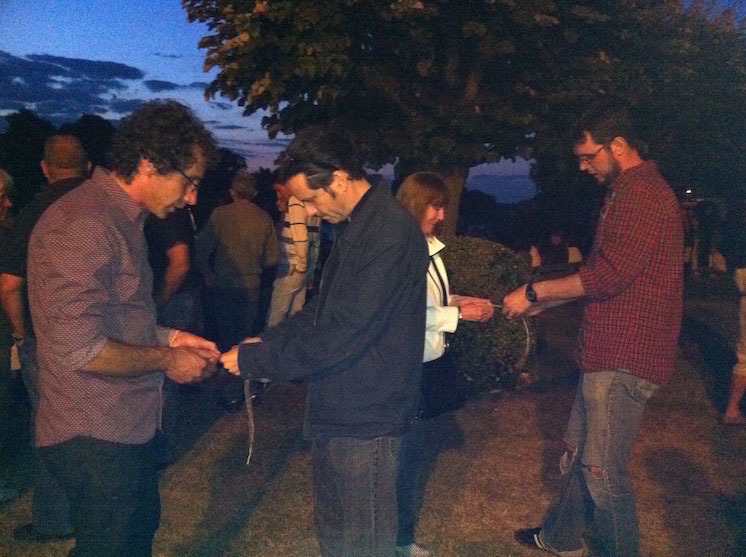 An infantry of designers armed with the knowledge of how to make cordage ventured off into the city to celebrate Bastille Day, drink some wine, watch fireworks, share their skill, and perhaps make a friend.